At just under two-years-old and weighing 60 lbs, long-legged Diesel will make the perfect indoor/outdoor big buddy. He’s a Boxer mix born with a playful, frisky nature making him a popular favorite with active adults and older children. Running along your side, chasing the ball, and taking regular walks are totally in his wheelhouse adding enjoyable activities to your daily life, too. A tall fence will help keep Diesel and his giraffe-like long legs from playfuly leaping over and out. 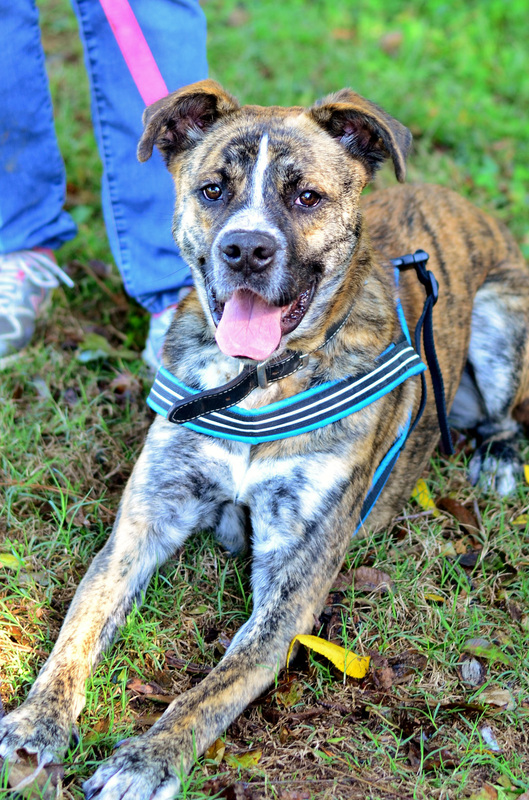 Visit with this loving, lumbering dog and you’ll want to take him home to be your new family friend. An exquisitely colored Calico with a moustache? Yes, and her name is Kaitlyn. 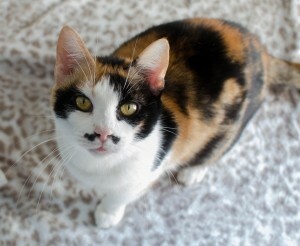 She is a 2-year-old former stray kitty who sports a colored patchwork coat of ginger, satin, and ivory. She came to the shelter as a single mom with three kittens, all who were adopted, and she’s ready to start a new life as an independent lady. Being quite socialable and talkative, she is willing to share her new home with other cats or is just as content to be the only feline in the house. Whatever the case, she asks only that she gets plenty of attention, affection, and food. Share a few moments with Kaitlynn and you’ll find yourself falling deeply in love and wondering why it took you so long to find her.